THIS IS HOW ELECTRICAL SHOULD BE DONE. Welcome to Bill’s Electric Inc. At BEI, our mission is to be your premier electrical contractor through our commitment to quality workmanship and excellent service while meeting all of your electrical needs. Since 1952, our foremost objective is to build long lasting relationships with each one of our customers. Regardless of the size of the project we will give every job the same level of attention. Our clients value the high standards of workmanship and integrity that BEI brings to each and every project. Centrally located in the Four States region of the Midwest, Bill’s Electric can effectively serve Missouri, Kansas, Oklahoma, Arkansas, and beyond. Specializing in commercial, industrial, and residential electrical projects, Bill’s Electric is committed to providing the absolute best electrical repair and installation services to home owners and businesses in the Four State area. Bill’s Electric is strategically located in Webb City, MO, Springfield, MO, Lowell, AR, and Claremore, OK.
BEI serves the electrical needs of residential and commercial property owners with quality and timely services. BEI has the trained personnel and experience to perform institutional and healthcare projects of all complexities. BEI delivers unmatched experience and a proven track record of quality in industrial applications. 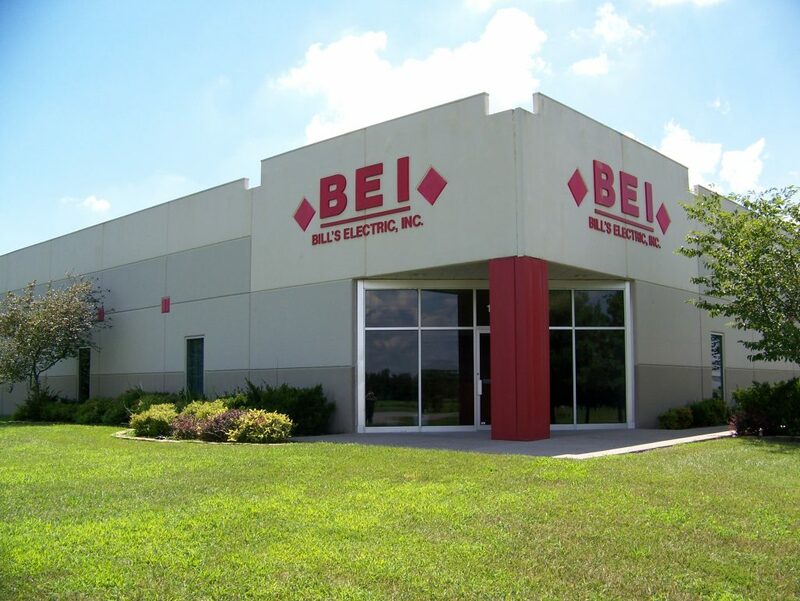 BEI provides the service of building and designing electrical systems from the ground up.